This is a bi-weekly blog to keep you informed of issues and events pertaining to the osteopathic profession in Washington. We invite you to submit topics or articles of interest to your colleagues for consideration. Submissions may be emailed to kitter@woma.org. Please join us for the 2017 WOMA Convention at Semiahmoo Resort May 4-7, 2017. Brochures will be mailed soon or members can click the link below register online. The WOMA office has received several requests for clarification of the Physician Assistant (PA) supervision rules. Some entities have wrongly assumed that DOs cannot supervise Physician Assistants. PAs must be licensed by the licensing board or commission that licenses the primary supervising physician. MDs and DOs may serve as alternate supervisors for each other. A PA working for a DO must be licensed by the Board of Osteopathic Medicine and Surgery which must approve a delegation agreement submitted by the PA and supervising DO. An MD may be an alternate supervisor. If the primary supervising physician is an MD, the PA must be licensed by the Medical Quality Assurance Commission, which must approve the delegation agreement. DOs may serve as alternate supervisors. President Michael J Scott, DO. Dr. Michael Scott is Co-Director of the Seattle Dermatology Center. He has been a member of the American Academy of Dermatology Sports Medicine Committee, Crew Chief of the US Olympic Committee, and is the Chairman of the American Osteopathic Board of Dermatology and WOMA President-elect. 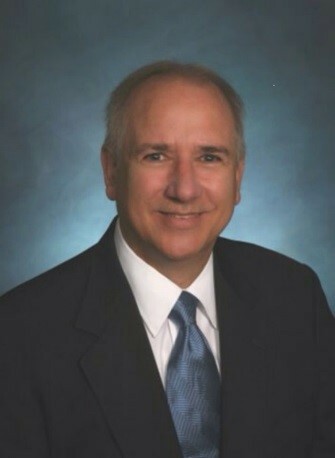 Dr. Scott is a graduate of KCOM, completing a Residency in Dermatology at North Western Medical School and Pediatric Dermatology at Children’s Memorial Hospital, Chicago in 1983. He has been active in numerous dermatology organizations, including the American Osteopathic College of Dermatology and the American Osteopathic Board of Dermatology. He has served WOMA in several capacities, including President in 2000, and volunteers with several sports organizations, including the US Olympic Committee. The Washington State Psychiatric Association has announced our 2017 dates for their newest program, Training in Suicide Care for Physicians. Instructed by WSPA President Jeffrey Sung, M.D. this one-day, six-hour workshop fulfills the requirement for all physicians to receive a one-time training in suicide risk assessment, treatment, and management (ESHB 1424). This workshop uses lecture, video-based educational tools, and writing exercises to address approaches, formulation, and clinical responses to suicide risk. WOMA members receive a discounted registration price. This training is jointly-provided by the American Psychiatric Association and Washington State Psychiatric Association. This program has been approved the Medical Quality Assurance Commission to satisfy the requirement of RCW 43.70.442 for physicians and physician assistants to receive training in suicide risk assessment, management and treatment. Seating is limited, and almost all of our 2016 trainings sold out. Sign up early to reserve your spot! In our last blog we mentioned DO Day in Olympia is on March 1st this year. We will have nearly 100 osteopathic physicians and medical students participating. DO Day, as well as VoterVoice, is funded by Osteopac. Contributions were down in 2016 and we really need your support to continue. If you cannot attend DO Day, please consider participating with an Osteopac contribution today. Your contribution by check must be made payable to Osteopac and sent with information required by the Public Disclosure Commission: Name, address, Employer (if other than self) employer address and occupation. Send to PO Box 16486, Seattle, WA 98116. HB 1339 - Prohibits a practitioner, when issuing a prescription for an opioid drug to a patient for the first time for outpatient use, from issuing more than a seven-day supply. The Bill provides exceptions. WOMA opposes regulation of specific prescribing or other medical practices. It sets a dangerous precedent to have the legislature, most of whom have no medical education or training, making medical decisions for which they are not qualified. HB 1242 - Allows an eligible patient and his or her treating physician to request that a manufacturer make an investigational product available for treatment of the patient. HB 1337 /SB 5221 - Creates the interstate medical licensure compact. HB 1431 - WOMA requested this legislation which increases the number of members on the Board of Osteopathic Medicine and surgery. The number of DOs licensed in Washington has more than quadrupled since the Board of Osteopathic Medicine and Surgery was created in 1979. With the increase in licensees comes a growth in complaints and cases to manage, yet the number of members on the Board has not increased since its implementation. This will add two osteopathic physicians, a public member and an osteopathic physician assistant to help share the workload with case management, hearing panels, rule‐making and other responsibilities. SB5518 - Prohibits a health carrier from paying a chiropractor less for a service or procedure identified under a spinal manipulation code. This is an attempt by the chiropractors to increase reimbursement based on an assumption that their spinal manipulation equates to OMT. A bill is also being circulated that would create licensure for a Doctor of Medical Science Degree for PAs who complete a two-year online course while practicing. A PA must have three years of practice before being eligible for the program. Licensure would eliminate physician supervision and the curriculum is being touted as equivalent to of a DO or MD school. These and many other health care related bills are being monitored by WOMA. We have received calls from several members expressing concern that their WOMA program 1-A credits are not showing up on their AOA CME report. In each case, the problem was that the member was logging into the old AOA CME system, probably using a bookmark. To see your current CME report, go to www.osteopathic.org, select the login button, insert with your AOA ID/Username and Password. When the site opens, select the VIEW CME Report button on the right. Have Your Reserved Your Room Yet? The 104th Annual NW Osteopathic Convention is coming up. Get your room reserved while the discount is still available!